This unique book is intended for all health professionals caring for older people with diabetes such as specialist and general nurses, doctors, primary care practioners and dieteticians. Although there is an increasing body of work about personalised care, no publications were identified that encompass the focus and scope of the proposed book. 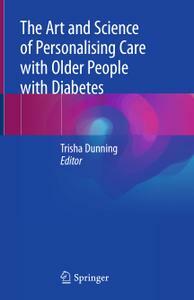 The global population is ageing and increasing age is a key risk factor for diabetes. Older people with diabetes are often vulnerable, have complex care needs and often have cognitive changes, which makes personalising care challenging for health professionals. Thus, this is an internationally relevant book filling a gap in the current literature.